►"Israel stopped intelligence exchanges with Turkey over Syria." Overview of my last visit (9th) to Syria, just over a month of interesting meetings, interviews and visits. Last edited by goldenequity; 10-12-2018 at 09:12 AM. Lol, they [themselves] are reporting Israeli violations of Lebanese airspace. New radars work. check. however, Pentagon officials have charged Russia with wanting to "seize" Syria's oil and gas resources. Last edited by goldenequity; 10-13-2018 at 07:58 AM. Last edited by goldenequity; 10-14-2018 at 02:39 PM. They don't hide their criminal agenda anymore. They don't want stabilization in Syria at all. which is why U.S. is working so hard to prevent Damascus from opening roads or regaining oil fields. Last edited by goldenequity; 10-14-2018 at 02:49 PM. Rebels have fired mortar shells from a planned buffer zone in northwest Syria, a monitor said Sunday, days after they were meant to have withdrawn such weapons from the area.The Syrian Observatory for Human Rights war monitor said rebels in the zone fired several "mortar shells at an army position in nearby Hama province, killing two soldiers" late Saturday. Last edited by Swordsmyth; 10-15-2018 at 02:18 PM. A deadline passed Monday without jihadists leaving a planned buffer zone around Syria's last major rebel bastion of Idlib as set out under a Russian-Turkish deal.The radical fighters were supposed to withdraw from the buffer as a final condition to implementing a Russian-Turkish deal to stave off a regime offensive on the northwestern region of Idlib. The accord hung in the balance on the early hours of Monday, seven years into a grinding civil war that has killed more than 360,000 people and displaced millions. Just hours before the cut-off time, Idlib's dominant jihadist group vowed to continue to fight but did not give a clear position on the deal reached in the Russia resort of Sochi. "We have not abandoned our choice of jihad and fighting towards implementing our blessed revolution," said Hayat Tahrir al-Sham, an alliance led by the jihadists of Al-Qaeda's former Syrian affiliate. "We appreciate the efforts of all those who strive inside and abroad to protect the liberated area," it said in an apparent reference to Turkey. "But at the same time, we warn of the deceitfulness of the Russian occupier," it said of the regime's ally. Under the accord, heavy weapons were meant to have been withdrawn from the horseshoe-shaped buffer by October 10 and radical fighters were meant to have left by Monday. The Syrian Observatory for Human Rights said it had not observed any jihadists leaving the outlined demilitarised area by the time midnight struck. And deadly mortar rounds fired late Saturday from the planned buffer, according to the Britain-based monitor, appeared to indicate the first part of the deal was not fully implemented either. Last edited by goldenequity; 10-16-2018 at 09:13 AM. between Islamic State and the so called Syrian Democratic Forces supported by the US. On Tuesday, the U.S. warned that any companies participating in the reconstruction of Syria would be slapped with sanctions. SAA artillery is shelling at militant movements and positions in Tel al Sakhr in northern Hama. SAA artillery and missile launchers bombard TIP and friends positions around Kabani, at Yunesiyeh and other locations in NE Lattakia countryside. Al-Masdar News‏@TheArabSource · 48 sek. Last edited by goldenequity; 10-18-2018 at 12:45 PM. -new update- Russia supplied Syria with at least 3 S-300 PMU2 (PM2) systems upgraded with the most advanced radars and cutting-edge technology available to also defeat Israeli EW systems. This is on top of the 24 S-300PM missile launchers which were also delivered to Syria. Brasco_Aad‏ @Brasco_Aad · 4 min. ►The two would then trade blows at the same time, with the jihadist rebels taking the brunt of the missile exchange. Last edited by goldenequity; 10-19-2018 at 10:00 AM. reiterating their rejection of participating in these elections. They also reiterated their belonging to their homeland Syria and their belief that the occupation will end. 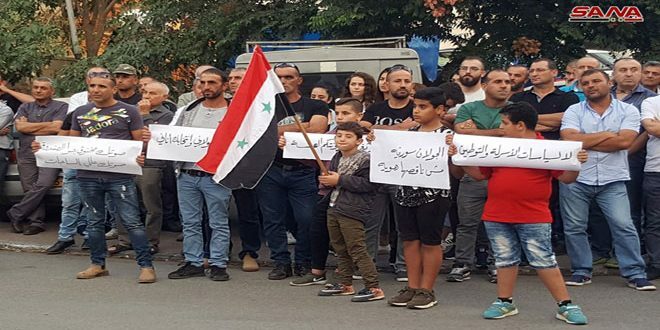 Syrians in the occupied Golan also announced their popular movement in rejection of these elections which will last till the end of the current month. Liberated prisoner Bishr al-Maqt affirmed in a speech delivered during the sit-in said that all measures taken by the Israeli occupation authorities are null and void and they don’t have a legal value. Majdal Shams, Mas’ada, Baq’atha and Ain Qunya over the coming days. He called upon the international organizations to put an end to the racist practices of Judaization adopted by the occupation authorities. Last edited by goldenequity; 10-21-2018 at 03:20 AM. US coalition bombs US-backed SDF in Hadjin..
over the territories of Israel and Jordan, near the Syrian border, several flight tracking services reported. 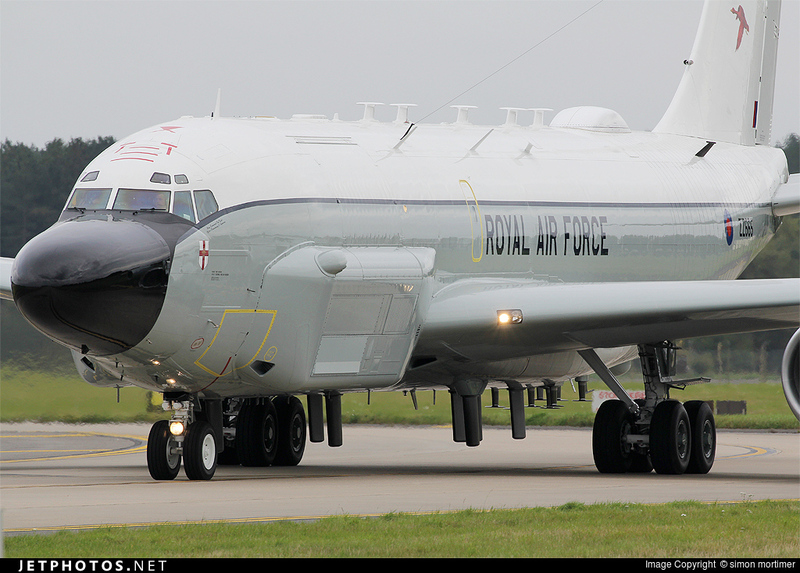 RC-135W Rivet Joint is capable of detecting emissions produced by radars and thus discovering the locations of enemy air defenses. Turkish and American troops could begin conducting joint patrols in a matter of days around the northern Syrian city of Manbij within the coming days, the top U.S. commander for the Middle East said Sunday.Army Gen. Joseph Votel, head of U.S. Central Command, told reporters traveling with him that the soldiers' training is expected to last "several more days," and then will transition to combined patrols. The Manbij patrols are part of a road map that Ankara and Washington agreed on in June to defuse tensions amid Turkish demands for the withdrawal of a U.S.-backed Kurdish militia that freed the town of Manbij from the Islamic State group in 2016. The U.S. and the Turks have been conducting independent patrols along the border, and joint patrols are considered a way to tamp down potential violence between the various groups there. "We're right on track with where we want to be," Votel said. "We've been through a very deliberate and mutually agreed upon training program." He said the platoons will include security personnel. He did not provide details on the size of the units or how many U.S. and Turkish forces will be involved in the program. U.S. platoons can often include a couple dozen soldiers. Israeli Defense Minister Avigdor Liberman said that Israel would not accept Russian demands for limiting its operations in Syria and giving additional warning before conducting air strikes, The Times of Israel reported Oct. 25. ISIS is growing stronger in this area.... reported defections of SDF from 'US' to ISIS. Islamic State fully recaptured Al-Sousah town and besieges groups of #SDF fighters inside Al-Hawi Al-Sousah east of the town. it seems they have thousands of fighters. In the area in Hajin city alone there are 8000 ISIS fighters. All the ISIS fighters all have brand new m16s as well. All of this goes well along Russian/Syrian accusations regarding US support for terrorists in the occupied areas. (see some comments under the linked reports). The best thing would be to nuke the whole area. remember Assad controls a small area on the eastern side of the Euphrates that includes four villages. so it's easy to avoid being 'forced to join' the SDF by just going to these areas or joining the NDF that Assad set up in Hasakah. Last edited by goldenequity; 10-27-2018 at 07:56 AM. 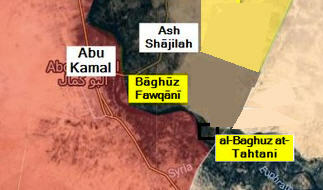 Islamic State fully controls Baghuz Al-Fawqani and raised their flag on the Syriatel mast tower at the outskirts of Baghuz Al-Tahtani and clashes have broken out between #IS and the Iraqi border force of the #PMU. Huge ammount of warspoils captured from SDF! Reports of massive Turkish bombardments on YPG militant positions in Northern Syria, east of the Euphrates. Locations of the shelled YPG positions. Reports that IS attacked SAA positions near Kashmah. The raiding party came from western Deir Ezzor desert. Iraq is closing the border and bringing additional units. Seems like total collapse of SDF lines. Its not clear what they hold in that area anymore. Reports that IS tried to infiltrate SAA positions near Al Bukamal from Baghuz area. Its not clear if they control the whole town or only some parts. ►IS advancing towards Baghuz Tahtani (Iraq border). PMU has closed that area. Syrian Democratic Forces commander, asking not to be named, confirmed the SDF retreat from the Hajin pocket near the Iraq|i border seven weeks into an offensive. US jets bombed military vehicles left by SDF in Sousah and SE of it. ►to the Tanak oil and gas field. US Forces Abandon Base "Hajin" East of Deir_Ezzor. ISIS seized Hummer vehicles and trucks of ammunition and weapons after the withdrawal of SDF militia from Sousah and Baghuz towns. Total collapse of SDF/YPG militants in Deir Ezzor governorate due to massive ISIS attacks against their positions. Reports of US and French Special Forces fleeing the area. Karma for the Iraqi government who wanted to deal with SDF militants instead of the Syrian Government. Over 100 SDF/YPG militants were killed by ISIS in this massive attack. Iraqi government is now sending additional troops to the Syria-Iraq border out of fear of infiltration by ISIS terrorists. Currently SDF is making the last stand on Jabal Baghuz fighting IS attempt to surround them. Yesterday, a convoy of Daesh retreated from Tulul al-Safa towards Iraqi border, trying to escape. SAA spotted it, SyAAF destroyed it. Putin expresses hope that Turkey to ensure swift withdrawal of opposition's heavy weapons and military units from Idlib demilitarized zone. 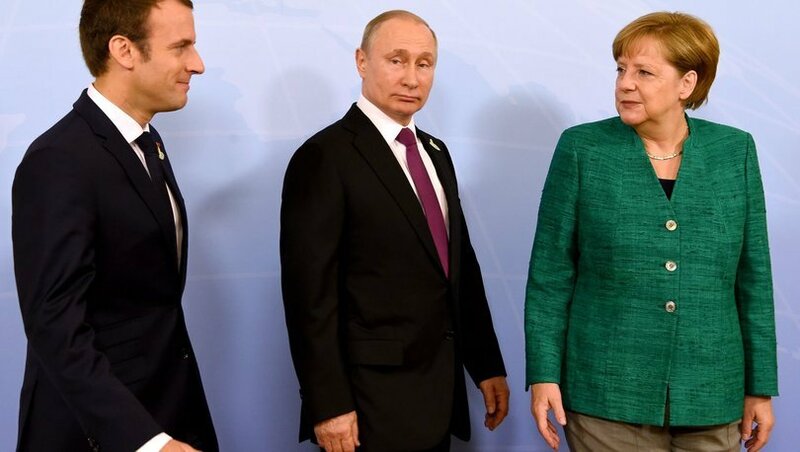 Putin also said that Russia reserves right to deal with terrorist threat in Idlib. Last edited by goldenequity; 10-28-2018 at 11:15 AM. IS released the pics of dead SDF fighters. I can't show, it its too graphic. They were burned or with heads blown apart. Its not a fight anymore but wild hunting party. Weather on the pics-clear and sunny SE Deir Ezzor If they upload something less "extreme" I'll post it.